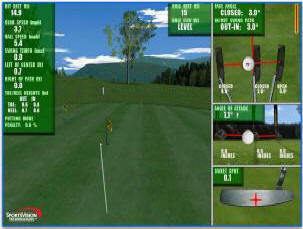 The Pro-Golf Swing Analyser lets you play golf when you want, and where ever you want. 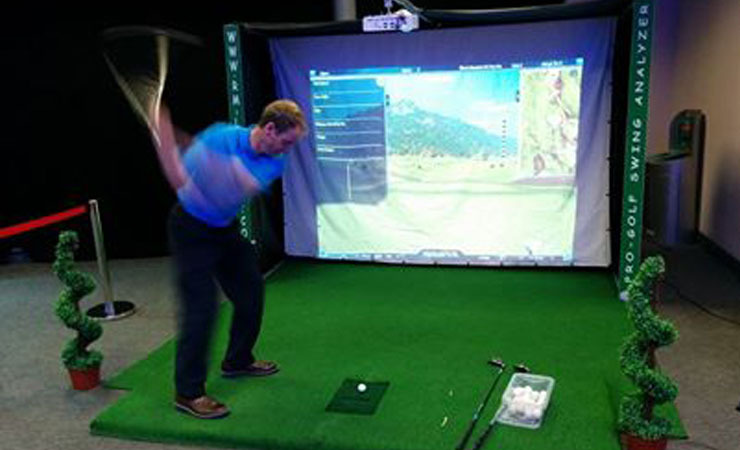 Our exciting golf simulation software is so real it’s like playing a real course. Highlands national is a 7,393 yard, 18-hole, par 72 championship golf course with 4 tee boxes for each hole. It is a mountain course with water hazards and extensive sand traps that will delight your guests or customers. The state-of-the-art graphics are astounding. 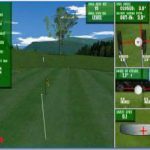 You can fly over the course and follow the ball in flight. You can even see a replay of your shot. 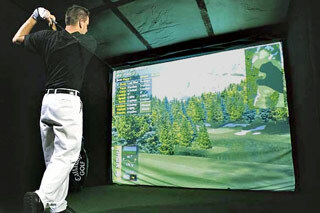 You can hit a real golf ball using any club from anywhere on the golf course, green or range! 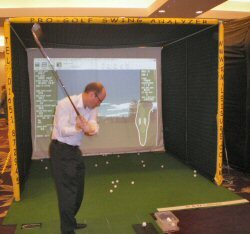 Practice is easy, fun and exciting with the Pro-Golf Swing Analyser. 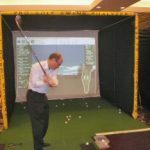 Our fixed canopy simulator hire is a natural choice to entertain guests at your Promotional event, exhibition or Corporate Day. Experienced operators are on hand at all times to ensure maximum enjoyment for you and your clients. 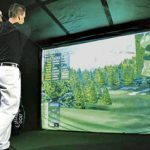 The simulator is available for hire at very attractive all-inclusive rate throughout the U.K. for periods ranging from one evening up to 30 days.